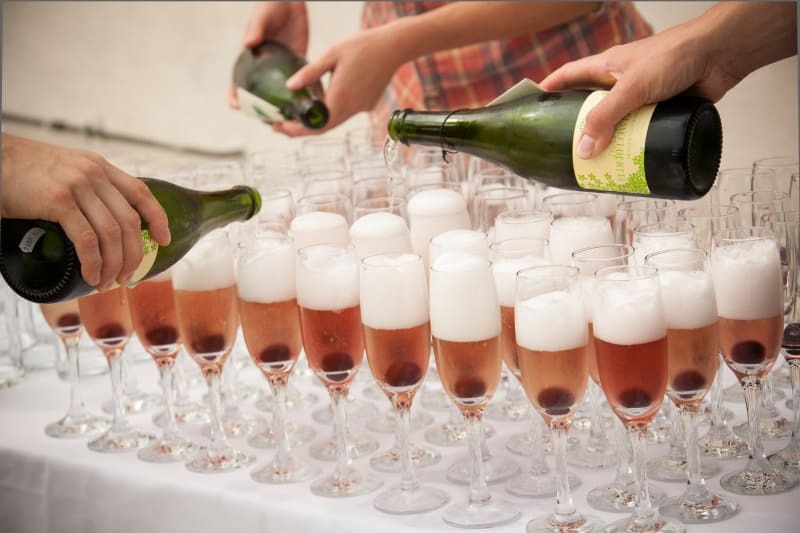 Brides and grooms to be can be forgiven for getting a little carried away focusing on their wedding breakfast menu and forgetting about the all important wine. And rightly so! If you’re not already a wine buff, it can be awfully confusing and there is just so much to choose from meaning you don’t even know where to start. 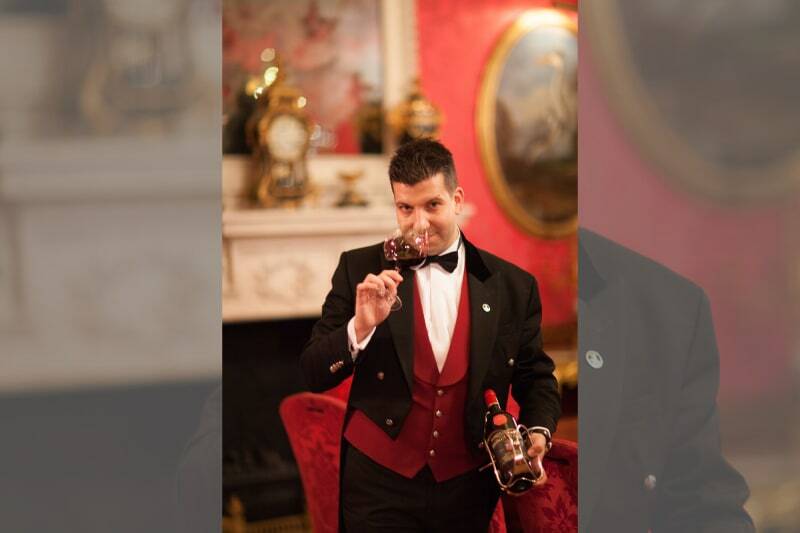 But luckily for us, our wonderful partners at The Ritz London, one of the most beautiful wedding venues in London, has shared with us their sommelier, Giovanni Ferlito’s expertise to help us navigate the incredible world of wines. Read this Q&A to get every question you have about picking your wedding wine answered! Q: Choosing wine can seem daunting, how do you recommend a couple prepares for the selection process? And how far in advance of their wedding should a couple begin their wine selection? Selecting the wines for the wedding should be an enjoyable moment of the preparations. The best thing to do is to ask the sommelier of your venue (if it has one) for recommendations and to taste the wines in advance, possibly during the menu tasting to test if the pairings work well. There is no need to be too fussy and for the wine choices to be too complicated, try rather to think about a wine that can be easily enjoyed by everyone during the wedding. I would recommend to choose the wines when the menu is already decided in order to select wines that could easily match the menu without overpowering the dishes or being too light. Normally I would choose a white wine to start and a red wine for the main course and if there is also a middle course why not to try an orange wine or an oloroso sherry to spice up the selection! Q: What is the usual process when helping couples select their wedding wine? First of all I will ask the couple if they know what their guests would normally like to drink to start to have an idea of what could be a good recommendation. Then I will look at the menu and discuss it with the couple to find together a few options that could work. During the menu tasting I will let them sample the pre-selected wines and decide together the final choice as the balance of the wine pairing is, for me the most important factor. Finally, it is important to respect the wedding budget and normally (unless there are a lot of wine lovers amongst the guests) I wouldn’t suggest to go crazy with selecting very fine wines. I would rather focus on picking the right wine and trying to please everyone. Q: What should a couple consider when choosing a wine/champagne for the toast? Prosecco is always a smart choice considering the price and it is a good option thanks to its freshness and fruity character. Why not to twist it with some Aperol, ice cubes, soda water and an orange slice to serve it as a Spritz, the Classic Italian aperitif! English sparkling wines are doing extremely well and my favourites are Nyetimber for a crisp, elegant style and Gusbourne for a more rich, round style. I have just this month introduced them on The Ritz wine list for the first time in the 110 year history of the hotel. And of course champagne is a classic and still my favourite!Choose a non-vintage for crispness and fresh fruit notes or a vintage for more length, complexity and nutty finish. Finally have you ever considered a Demi Sec Champagne? It’s slightly sweet on the finish, perfect perhaps to be served with the cake. A true treat fitting for the occasion. Q: Could you guide couples on the essential factors in choosing wines to pair with their menu? One of the most important factors to consider is the richness of the dish as we want the dish and the wine to have the same weight. It is very important to find the right balance as the wine could overpower the dish or be too flat. For example a light and delicate dish needs a light wine with a subtle taste while a rich and intense dish needs a full body wine with a strong backbone. It is also important that the ingredients of the dish also match the aroma and flavours of the wine and just as with any food pairing, it helps to think of either complementary or contrasting flavors. Personally I am a big fan of red wine with fish. I think it is a very interesting pairing as long as the red is delicate, light and with very soft tannins. If served slightly cooler, even better. The perfect one would be a German or Alsatian Pinot Noir. Just be careful with spicy food… my recommendation is to balance the spiciness up with an aromatic and slightly sweet Riesling or Gewurztraminer. Q: Do you have any creative ideas for making your wine selection special and not just about taste? A wine pairing for me is the best way to travel around the fascinating world of wine. The wine selection should be an interesting wine discovery with wines made from different grapes from different country. Try also to explore less known styles or wine regions, such as orange wines from Georgia, Palo Cortado Sherry or crisp white wines from Portugal. To make the experience even more interesting I would use different format and also glasses with all different shapes obviously according to the wine. All in all, the wine pairing is a wonderful opportunity to give your meal a little personality! If one of you is from a wine region, including one of those wines in the meal can be a very nice touch. Q: What are the best wines to go with cheese or dessert? The savoury and cream character of some soft or blue cheese works perfectly well with a dessert wine as the residual sugar will balance the saltiness while the acidity will cut through the creaminess. Q: How should couples alter their wine taste and choice according to the season of their wedding? Seasonality is very important and this is another reason why it is better to choose the wine after you’ve decided on your wedding menu as it should also reflect the season. Q: Could you explain any considerations a bride and groom should have on the timing of the wine serving? I would always recommend to start from white wine and then move to red wine and also in crescendo from a lighter to a stronger style. Between white and red I could possibly suggest a rose or an orange wine. Once on a red wine, I wouldn’t recommend to go back to a white wine. After the red I would either serve a sweet dessert wine of a fortified wine such as a Port. Q: Which wines does your dream wedding wine list consist of? All of these wines are not only delicious and versatile, but also provide enough variety to keep things interesting. Q: What has been your favourite wedding experience? At my wedding when I opened a bottle of Champagne with the classic Sabrage! Sabrage is a technique for opening a champagne bottle with a saber used for ceremonial occasions. This became popular in France after the spectacular victories across all Europe the cavalry of Napoleon which gave them plenty of reason to celebrate. Q: If you were a wine which would you be? I would be a seductive Pinot Noir from Côte de Nuit, Burgundy. Ready to find the perfect suppliers for your dream wedding? Search through all of the U.K’s best venues and suppliers by what matters most to you on Bridebook today! Just check out our state-of-the-art supplier search tool. Take advantage of all of Bridebook’s amazing free wedding planning tools today!